Extreme Style Match mode says "screw you" in-game balancing. The fifth playable update for Happy Wars was recently announced by Toylogic Inc. 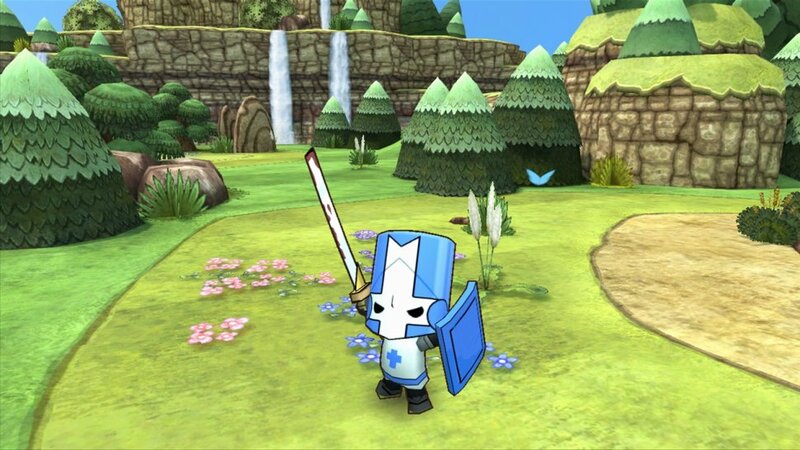 This time around, in collaboration with another game developer, The Behemoth, Happy Wars will be gaining some Castle Crashers items to adorn players warriors with, along with an all new game mode to do battle! This collaboration has been a great honor. 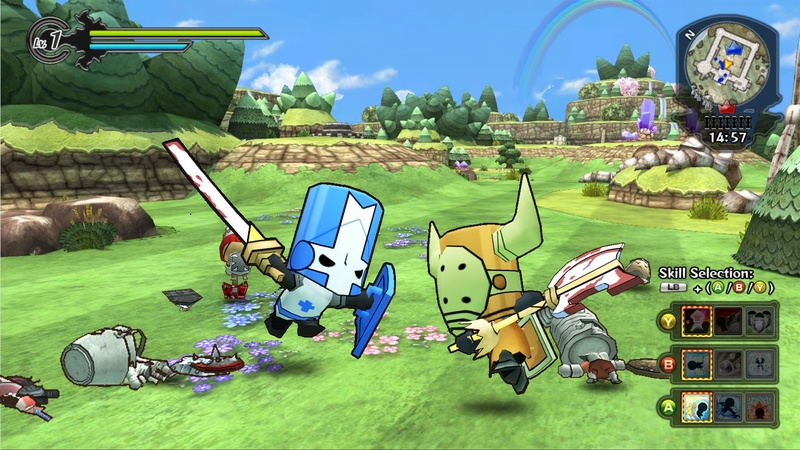 Castle Crashers, the creation by The Behemoth, one of the world’s greatest game developers, is one of the most popular Xbox LIVER Arcade titles. I hope to deliver more collaborations like this one with other Xbox game developers too, and make the game even more enjoyable for our more than 2 million Happy Wars fans all over the world. 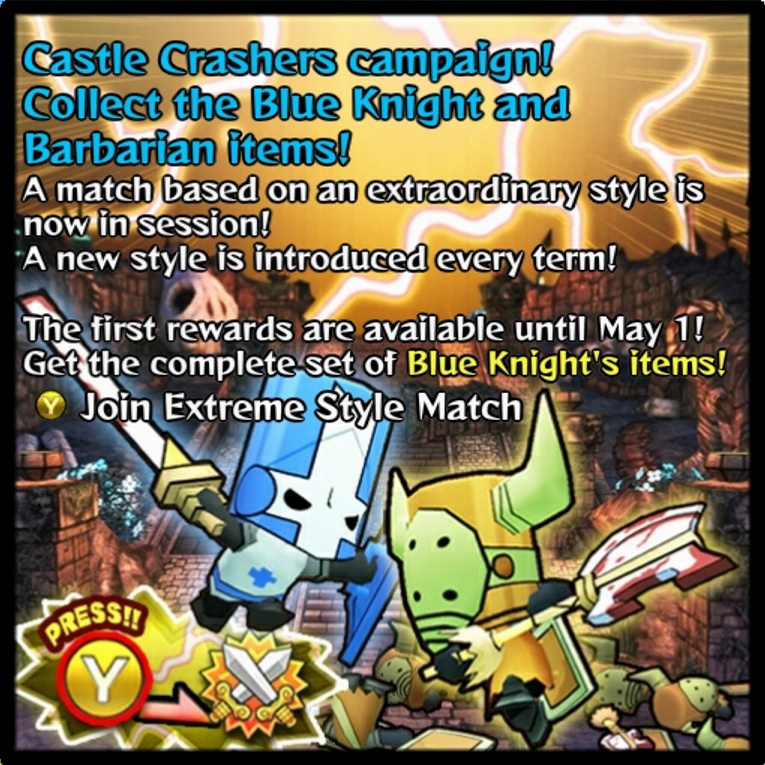 Blue Knight and Barbarian items; two characters popular among Castle Crashers fans. Gamers who play the new game mode, "Extreme Style Match", will be able to unlock these items. 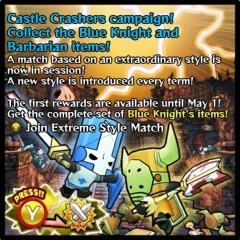 Players are guaranteed to earn one of Barbarian's gear, as long as they have unlocked any of the achievements for Castle Crashers. Extreme Style Match is a game mode that changes “game balance” frequently, what sort of balance changes that will occur are still unclear. Everything will look the same, but feel completely different. Furthermore, it will offer reward items (as mentioned above) for players who play it. No official release date for the update has been announced at this time, but we are given a handful of sweet screenshots to compliment the news. Happy Wars is a completely free, 16-player online co-op game for XBLA, so there's no reason not to check the game out at least once.